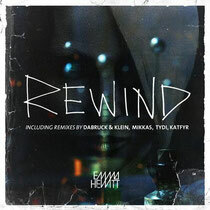 Australian singer Emma Hewitt’s own track 'Rewind', taken from her 'Burn The Sky Down' album, gets the remix treatment by producers tyDi, Dabruck & Klein, KATFYR and Mikkas. It's been nearly six months since Emma Hewitt introduced the world to her very first artist album, 'Burn The Sky Down', which received a warm welcome, doing well. Still stretching the curve, Emma recently released the remix-pack of 'Rewind', inviting tyDi, Dabruck & Klein, KATFY and Mikkas to create their very own interpretations. German duo Dabruck & Klein transformed it into a peak-time house tune, with immediate impact. Portuguese project KATFYR, who previously remixed Emma's 'Foolish Boy', was also invited to drench 'Rewind' with their dubstep sound. Australia's rising star tyDi shows his vocal-chop skills, and delivers a warm, melodic prog remix, while Mikkas goes for the big-room approach. Asking questions are genuinely nice thing if you are not understanding anything fully, however this paragraph offers pleasant understanding yet. Actually when someone doesn't know then its up to other viewers that they will help, so here it occurs. I for all time emailed this web site post page to all my contacts, for the reason that if like to read it then my links will too.